Our Clients Can Tell All about Us. At NamaaIT, nothing is more important to us than making sure that our clients are very happy with the services we provide. 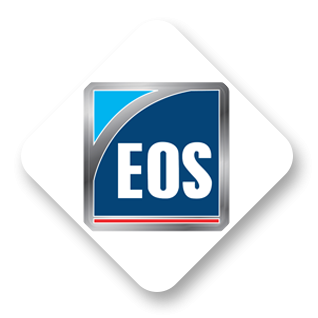 Whether we're building a bespoke Customer Relationship Management (CRM) platform for a large-scale enterprise or helping a small startup reach new customers through a creative mobile app solution, we pride ourselves on delivering the same exceptional standards of professionalism, quality, and customer care on every single project. Don't just take our word for it, however. Here, just a small number of our happy clients explain what it's like to work with us, and how NamaaIT helped them to achieve success. 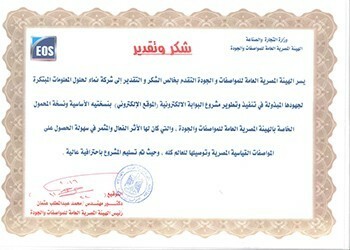 Let it be known by this certificate that Eng. 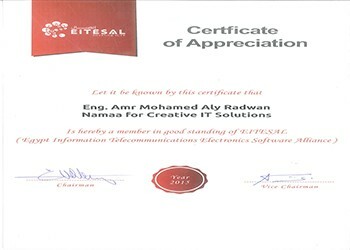 Amr Mohamed Aly Radwan Namaa for creative IT Solutions is hereby a member in good standing of Eitesal (Egypt Information Telecommunication Electronics Software Alliance). 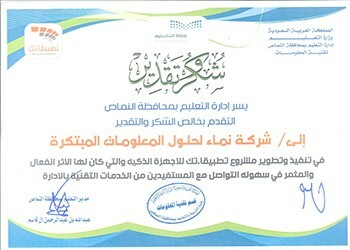 The Egyptian Organization for Standardization and Quality is glad to thank and appreciate Namaa for Creative IT Solutions for its efforts in implementing and developing the organization’s web portal project (including its mobile version), which had a great positive effect in presenting the Egyptian standards to the whole world. 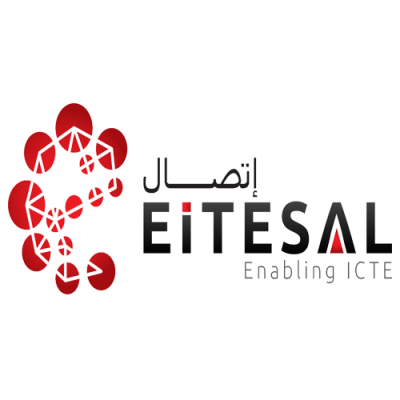 The project has been delivered in a highly professional way. 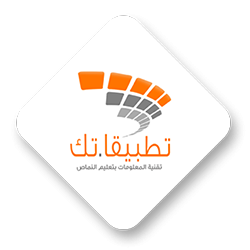 The Educational Administration of Namas Governorate is glad to thank Namaa for Creative IT Solutions for implementing and developing Tatbikatak Project, which had a great positive effect in facilitating the communication with the Administration’s technical services users.